There are two, apparently contradictory, phenomena which occur when society is going through times of turmoil - horror and dystopian fiction enjoy a surge in popularity, and people also become more desperate for a good news story. There was one shaggy dog story last week which gave everyone a case of the warm and fuzzies, and even my bitter, dyspeptic spirit was raised as I followed developments. 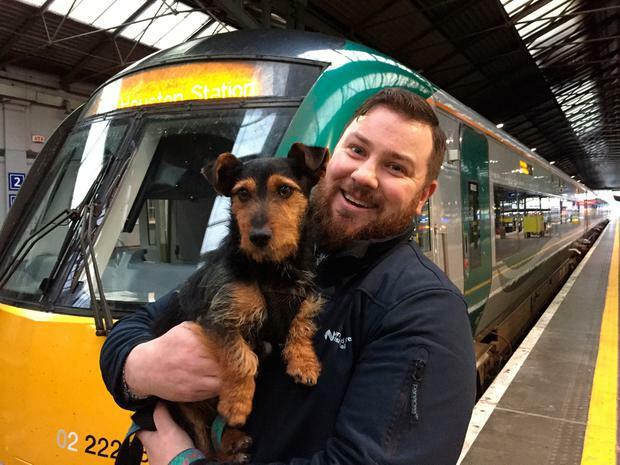 I am talking, of course, about Hamish the train-hopping dog who trekked from Sallins to Heuston station and whose story became a brief national talking point. As we later discovered, when he was returned to his owners, his actual name is Tyson, but I think we can all agree he has more of a Hamish look about him. I'm a sucker for lovely doggie stories at the best of times, but the way Hamish/Tyson captured the mood to the point where he was even one of the main items on the news, was a genuinely heart-warming spectacle. Of course, there were a few of the inevitable nay-sayers, who grumbled that they weren't allowed to bring their dogs on the train, and some of the lunatics on Twitter complained that we had more important things to worry about. As usual, they were completely missing the point and the point is this - dogs make everything better. They offer a glimpse into a more pure and simple approach to life and hold a mirror up to the rest of us. Even the picture of Hamish/Tyson sleeping contentedly after his long day's adventures was the sight of pure relaxation. If that image didn't lift your spirits then you're probably beyond redemption. It was also a welcome relief from the usual horror stories we hear about dogs being abused, of which there are far too many. That's why that little pooch captured everyone's heart - not only was he adorable, but he seemed to bring the best out of everyone who encountered him. But apart from giving everyone a smile, Hamish/Tyson also prompted a huge upswing in people wanting to rescue a dog, which is great. So, when you think about it, Hamish/Tyson really is a very, very good boy indeed.